If you are looking for information about growing cabbage, you've come to the right place. 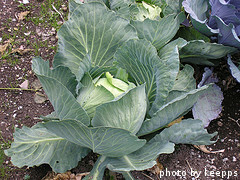 Cabbage is a cool weather crop that is easy to plant, simple to care for and easy to harvest. Cabbage plants need 6-8 hours of sunlight per day and are usually ready for harvest 45-105 days after planting, depending on the variety. Usually, the larger the cabbage head, the longer it takes to mature. 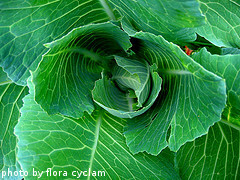 Cabbage thrives in temperatures of 60-70 degrees F, although established plants can tolerate nighttime temperatures that dip to freezing or even slightly below. If temperatures remain much higher than 80 degrees for extended periods, the plants will virtually stop growing and bolt fairly quickly. Cabbage plants are generally not suitable for growing in containers, although if you had a large enough pot, it may be possible. When growing cabbage, it's important to leave enough space between plants as they can get quite large. Some varieties of cabbage can produce heads weighing 15-20 pounds. Other varieties produce much smaller heads, weighing a couple of pounds each. The world record cabbage was grown in Alaska in 2009 and weighed in at 127 pounds! Cabbage should not be grown in the same place two years in a row. It uses too many nutrients from the soil in a single growing season, so crop rotation is key. In addition, this will help prevent disease problems in the future. Depending on your climate, it's certainly possible to grow two crops of cabbage per year, one in the spring and another one in the fall. Planting cabbage is a great way to maximize space in your garden as the spring crop can be harvested early enough to plant summer vegetables in the same location. A fall crop can be planted again after the summer vegetables have finished producing. Cabbage that is allowed to mature in cool fall weather is especially sweet. 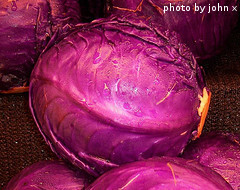 Cabbage can be eaten raw in coleslaw or made into sauerkraut. It can be steamed, boiled, sauteed, and even roasted. One of our favorite dishes is cabbage leaves stuffed with meat and rice. Click on the following links to learn more about cabbage.